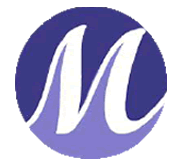 About - Meleney Equipment, Inc.
Meleney Equipment, Inc. is a privately owned manufacturer's representative agency engaged in the sales and distribution of: steam, hydronic, instrumentation, and engineered specialty products. We provide service for the following industries: mechanical contractors, private commercial and industrial accounts, local, state and federal government agencies. Meleney Equipment, Inc is proud to service the District of Columbia, Northern Virginia, the panhandle of West Virginia, Maryland, Eastern Pennsylvania and Delaware. Click below to see the manufacturers we represent.